Sub: Fixation of pay of existing Group ‘D’ employees In the revised pay structure – clarification reg. Consequent upon implementation of recommendations of 6th CPC as accepted by Govt. 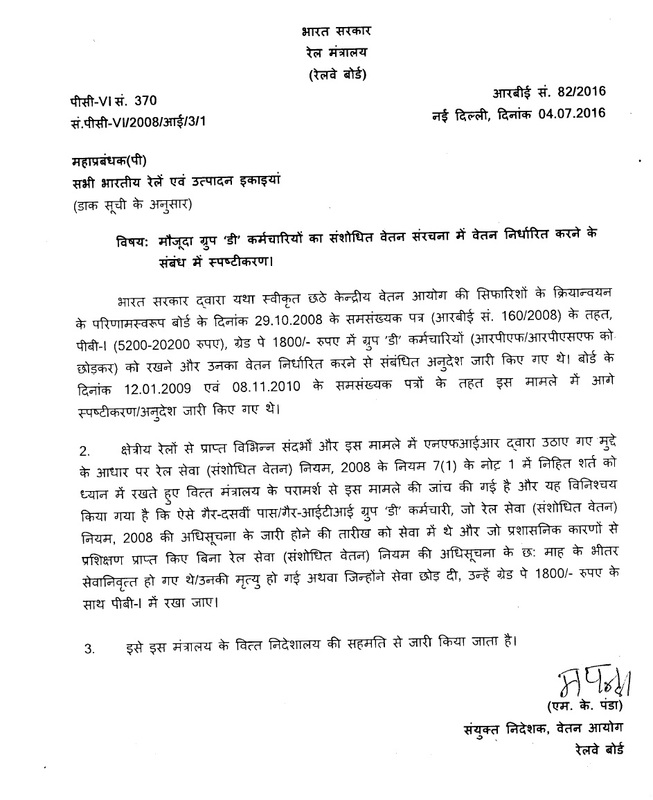 of India, instructions regarding placement and fixation of pay of Group ‘D’ employees (other than RPF/ RPSF) in Grade pay of Rs. 1800/- in PB-1 (Rs. 5200- 20200) were issued vide Board’s letter of even number dated 29.10.2008 (RBE No. 160/2008). 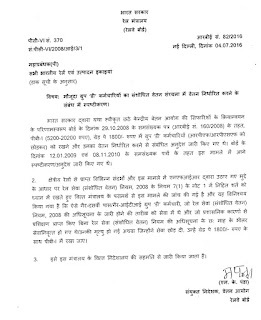 Further clarification/ instructions on the issue were issued vide Board’s letters of even number dated 12.01.2009 & 08.11.2010. 3. This issues with the concurrence of Finance Directorate of this Ministry.